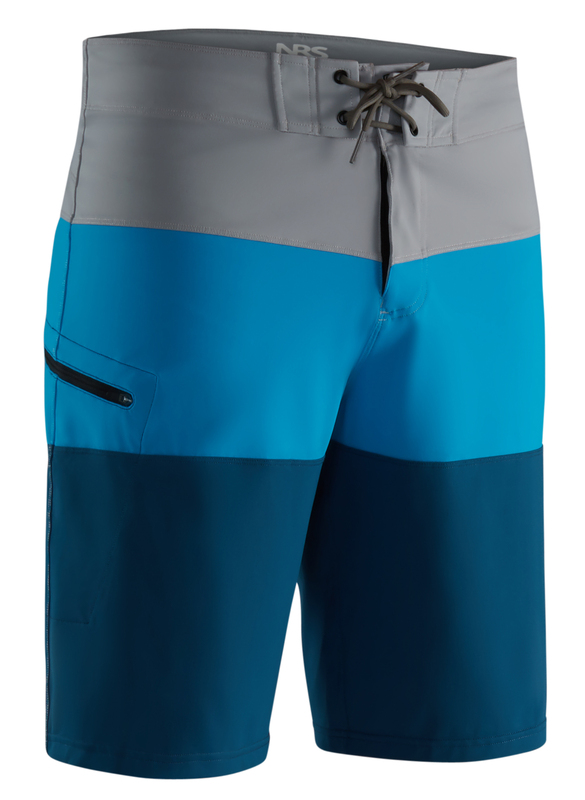 Quick-drying NRS Benny Board Shorts add extra durability, comfort and functionality to a traditional board short design. In the water, on the boat or around town, the Benny short performs as good as it feels. Quick-drying 4-way stretch Element™ material feels great against the skin and allows freedom of movement. The zippered fly is backed up by a hook-and-hoop fastener. Small, self-draining side pocket keeps essentials close-at-hand and zips for maximum security. 11" inseam delivers optimal coverage and the non-stretch Supplex® interior waistband guarantees your baggies will stay put.